Welcome to the the leading site for all your Breckenridge real estate and Summit County real estate needs. 2013 Top Producer RE/MAX Breckenridge and recipient of the Platinum Club award! Summit County is aptly named “Colorado’s Playground.” For more than a century, people have fallen in love with picturesque Breckenridge and Summit County, Colorado for its lively year-round recreational possibilities and eternal charm. That’s why Kelli Bennett and The Kelli Sells Team have made Breckenridge their home. Most Summit County visitors don’t want to leave — and you don’t have to. The Kelli Sells Team is devoted to sharing their expert knowledge of the Breckenridge real estate marketplace and Summit County real estate marketplace so that they may help you turn your dreams of owning Breckenridge and Summit County real estate into a reality. Call The Kelli Sells Team today at (970) 390-9311 or send an email. We take our time and listen to our clients about their real estate needs, rather than talk at them. Whether you’re looking to invest in homes, condos, or land — or to make Breckenridge or Summit County your seasonal or permanent residence — The Kelli Sells team handles all the details to ensure that your real estate buying or selling experience is seamless. Kelli and The Kelli Sells Team pride themselves on the personal time and attention they devote to each and every client. There is a vast difference in the level of expertise and quality of service provided by Realtors. Give yourself the advantage of working with the very best — and discover what “the difference is in the details” really means! The Kelli Sells Team knows the Summit County market intimately. Whether you’re looking for a scenic Lake Dillon condo or a quiet Breckenridge log cabin, they will find you the perfect property. 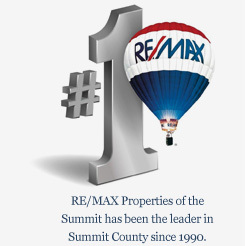 RE/MAX Properties of the Summit in Breckenridge is the #1 real estate office in Breckenridge and Summit County. And , Kelli has consistently been the top producer in real estate sales for RE/MAX Properties of the Summit in Breckenridge and has several times been voted best Realtor in Summit County. This level of success is a testimonial to the expertise and negotiating skills that give their clients the major advantage. If you are not currently working with another Realtor in Breckenridge or Summit County, call or email us and we’ll send you a complimentary copy of our Summit County Real Estate Guide. For more information contact Kelli today!